The bedroom is meant to be the perfect escape. A space for optimum relaxation, comfort and tranquility, and these 19 beds are sure to get you feeling calm and comfortable. There are so many designs, styles and decor options for the modern bed, dedicated to enhance sleep while also being the perfect area for romance. Interested in how to get your bed looking luxurious and feeling so cosy? Well, this homify feature will leave you spoilt for choice! 1. 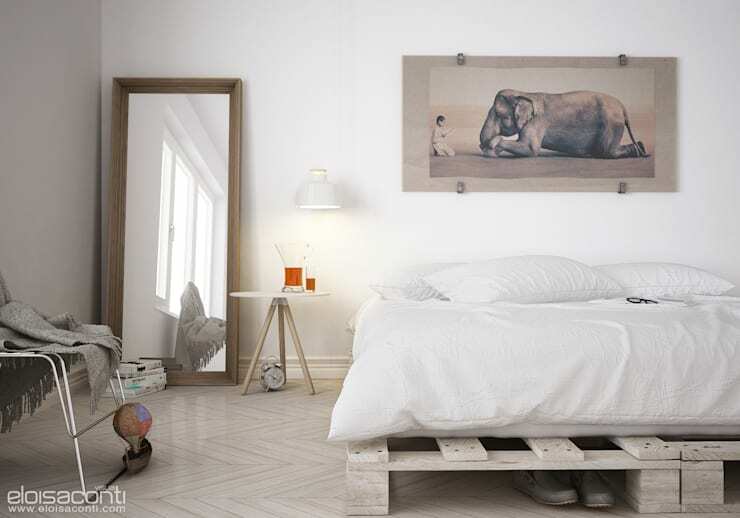 A simple bed with a wooden wall gives that comfortable cabin look, and with the neutral colour palette and natural lighting, you may just think you're in the wild. 2. 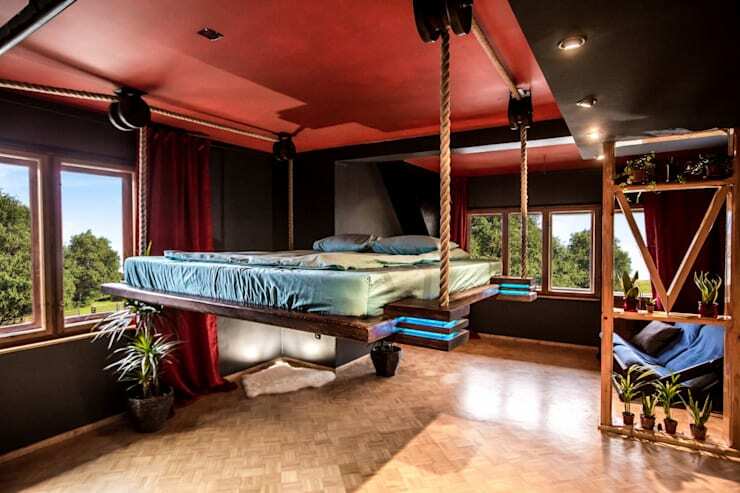 A suspended bed might be a bold choice for some, but that rocking feeling may be just what you need for a great night's sleep. 3. Now a poster bed is the epitome of old fashioned luxury, but who says you can't add a quirky colour for a bedroom filled with character? The interior designers of this bedroom came up with some unique and charming for a fun-loving homeowner. 4. 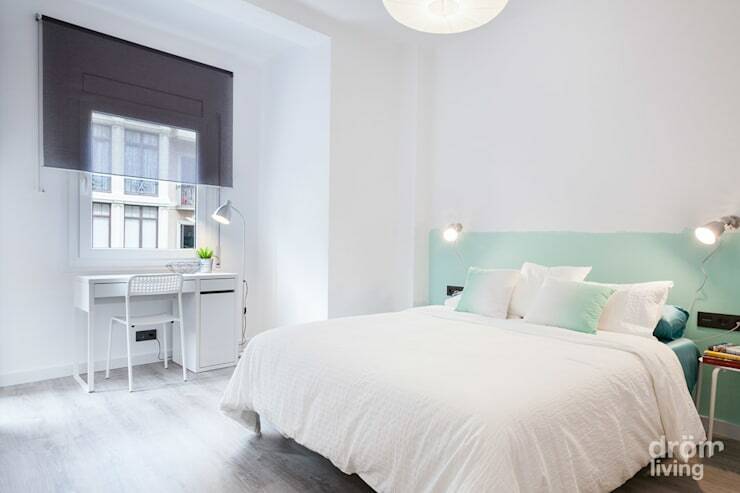 There's nothing quite like cosy all-white bed linen for that hotel bedroom experience. 5. 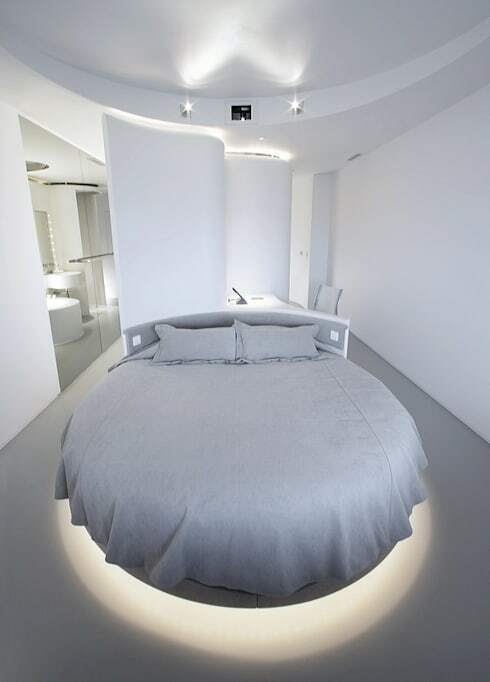 If you prefer being unique, then a round bed might just be the perfect choice to find your solace. 6. 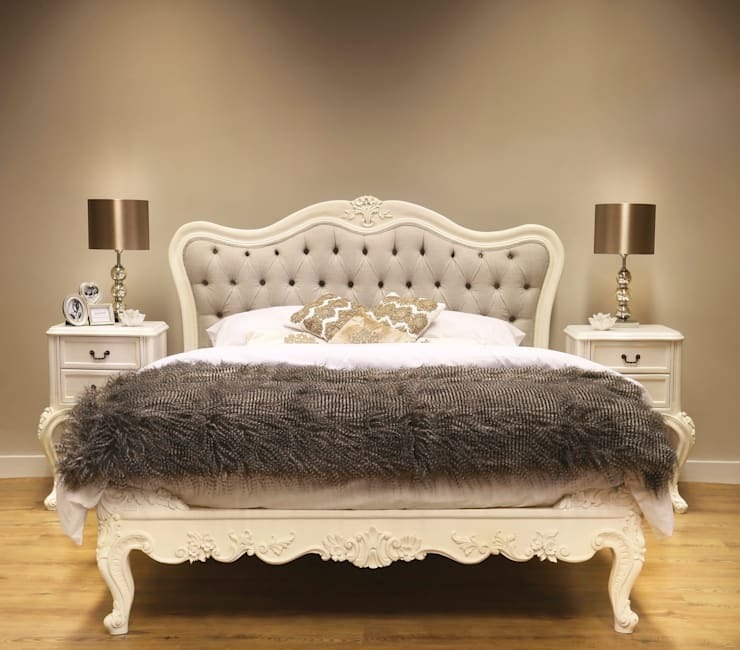 A vintage headboard with sultry colour scheme and elegant bed accessories looks so attractive. This bed and bedroom design is just so royal inspired. 7. 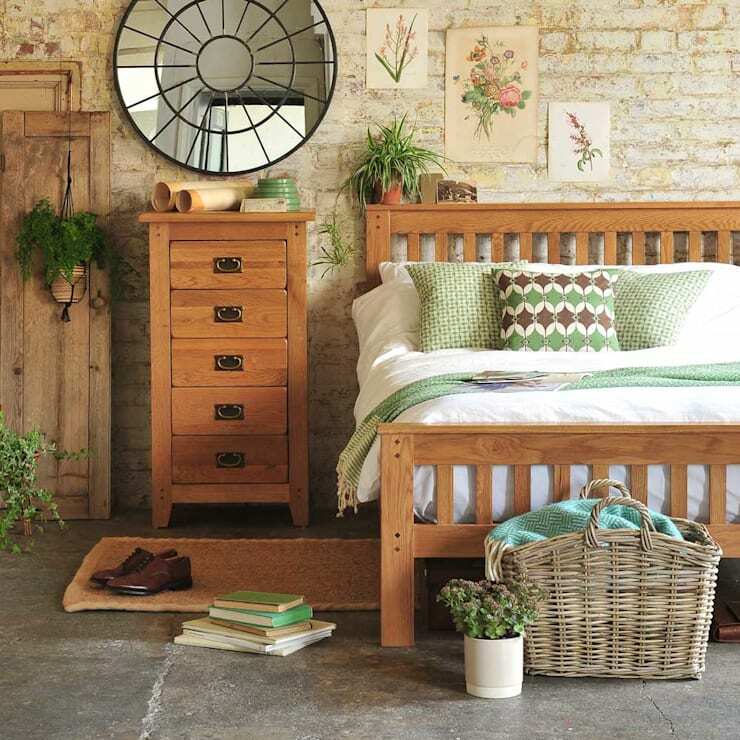 Opt for shabby chic appeal in your spacious bedroom and enjoy a great rest too. 8. Have you considered grey and purple as a colour choice for your bed? The effect is so opulent and luxurious! 9. A simple pop of colour such as this turquoise, along with all-white bed linen and lovely lighting is just divine. 10. 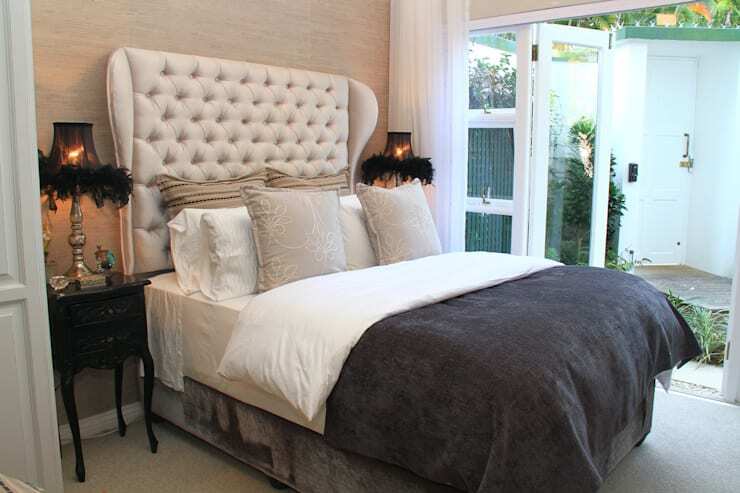 Textured scatter cushions enhance the look of any bed, and with this neutral colour scheme, this bed is sensational. 11. A wooden bed set with matching furniture has a vintage touch, but your sleep will be so sublime… you may never want to leave. 12. How about some faux fur to add an interesting look to your bed? 13. 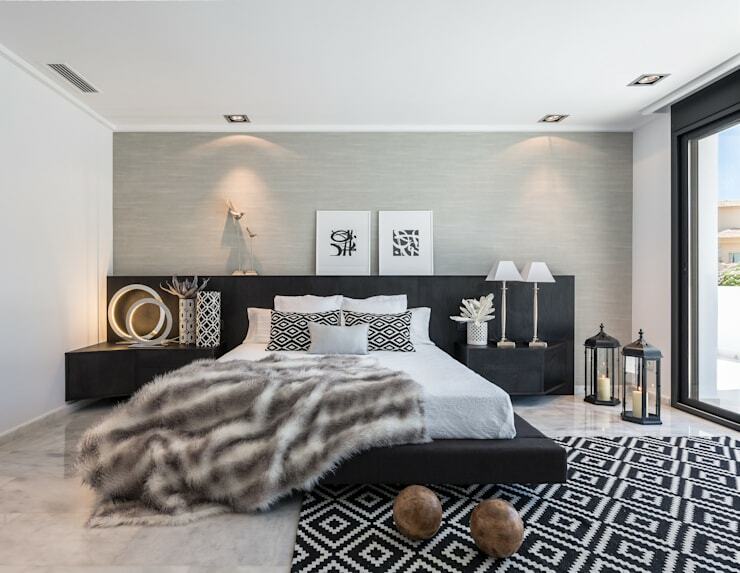 A spacious modern bed in a simple colour scheme may be all you need to recreate that 5 Star look. 14. For an everyday bed linen pair the all-white decor with some neutral greys, blues and browns. 15. A sensational sea green could be the best choice for a bedroom with an amazing ocean view. Just imagine the sound of the waves crashing against the shore as you drift off to sleep. 16. A bed that's located right next to the bathtub, what better way to go from ultimate relaxation to restful sleep? 17. A round bed with a rustic decor for that sensational country cottage experience. 18. A four poster bed with drapery is the perfect idea for a bedroom filled with authentic decor. 19. 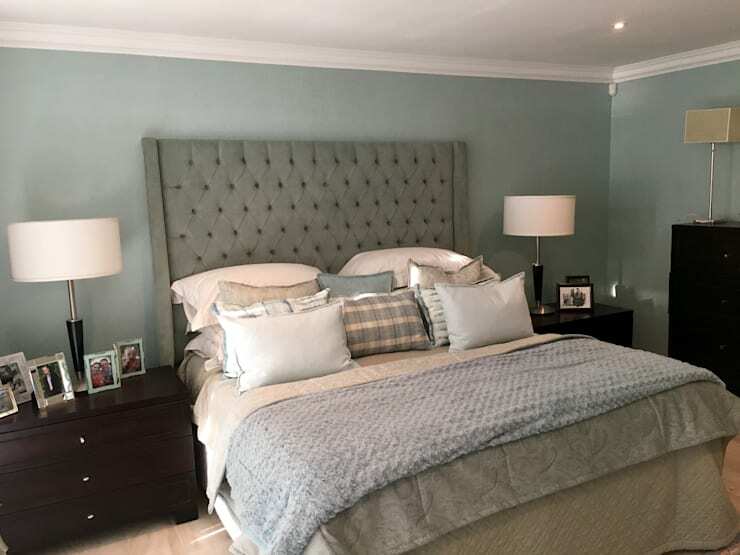 This warm and cosy bed has more than enough pillows and scatter cushions for comfort, but the colour scheme is great for winter too. 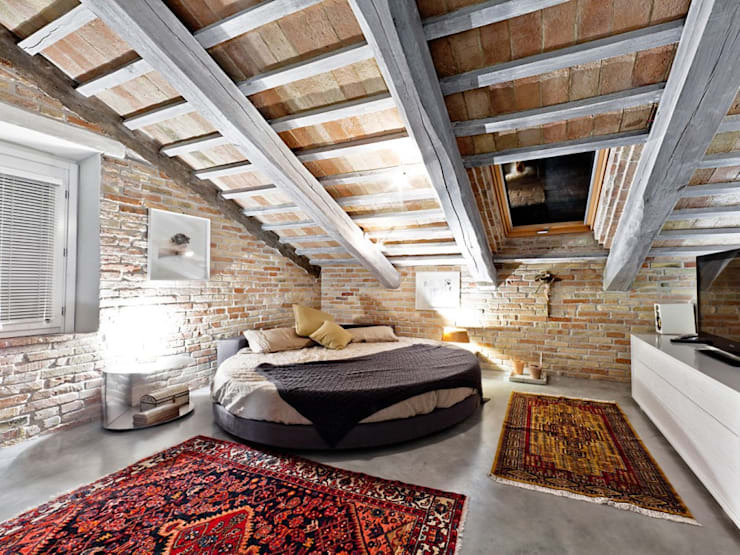 How about these: 10 brilliant bed ideas you'll secretly fall in love with? Do you have a favourite bed decor?